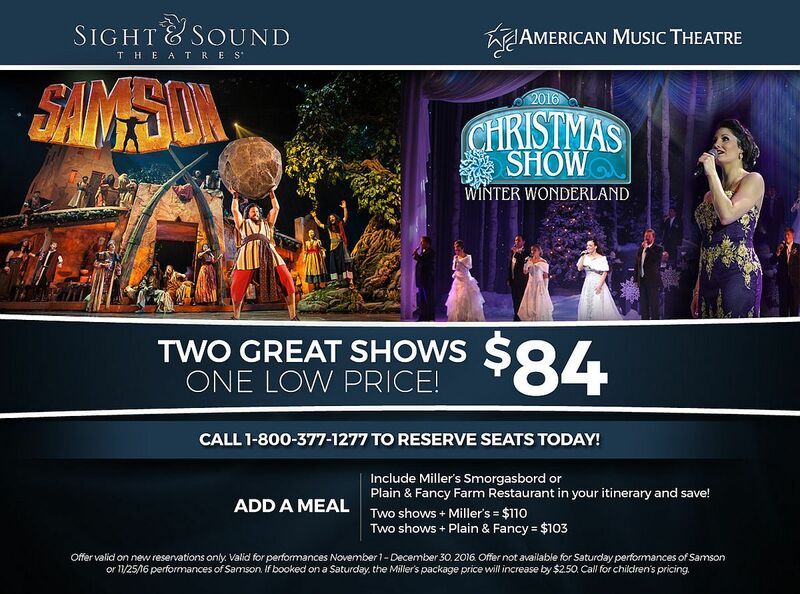 Book your trip to Lancaster, PA to see Samson and Winter Wonderland all in one perfectly priced package! Call 1-800-377-1277 to reserve your seats today! **Offer valid on new reservations only. Valid for performances November 01 – December 30, 2016. Offer not available for Saturday performances of Samson or 11/25/16 performances of Samson. If booked on a Saturday, the Miller’s package price will increase by $2.50. Call for children’s pricing.